C.E. 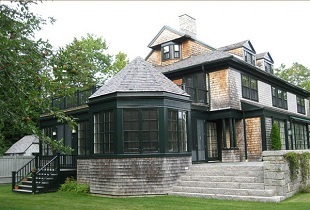 Bucklin & Sons are builders of most of the original homes in Northeast Harbor and Seal Harbor, Maine. With more than 100 years and five generations of experience no detail is too small not to be given thorough scrutiny and no project so complex we cannot smoothly and efficiently bring it to completion. At C.E. Bucklin & Sons, we are dedicated to listening to our clients and bringing their visions to fruition. 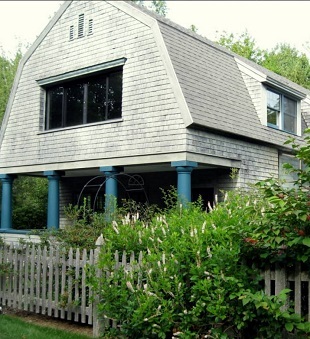 We forge loyal relationships that often last generations and we provide an unsurpassed level of client satisfaction. Our watchful supervision ensures that the most exacting standards are met, and the most suitable materials and products selected to meet today’s need for beautiful, functional, healthy living spaces. Providing exceptional workmanship, C.E. 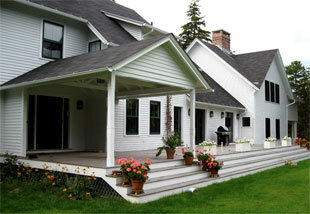 Bucklin & Sons has a team of talented carpenters and a substantial in-house mill shop. Skilled and professional, we build the finest quality cabinetry and furniture. We always return your phone calls promptly and gladly keep you informed of daily progress. 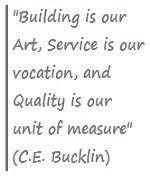 Building is our art, service is our vocation and quality is our unit of measure. 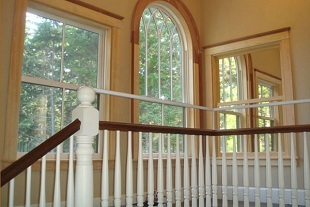 Please visit our website www.cebucklin.com and give us an opportunity to assist you with your next project.